Dr. Castillo is the Interim Director of the Associate Degree Nursing Program at Contra Costa College, and has held that role since 2015. She has previously served as Nursing Department Chair and Interim Dean of Instruction at CCC, and led the Associate Degree Nursing and Vocational Nursing Programs at Los Medanos College. She has decades of experience as a nurse, head nurse and supervisor in prenatal, oncology and surgical units, as well as teaching beginning and advanced level nursing students in both the classroom and clinical settings. 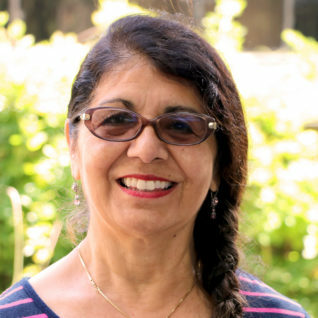 Prior to earning her doctorate in 1998, Dr. Castillo received an Associate of Science degree in Nursing from Rio Hondo Community College in 1971, a Bachelor’s of Science in Nursing from Cal State Los Angeles in 1979 and a Master’s Degree in Hispanic Studies from Holy Names College in 1987.